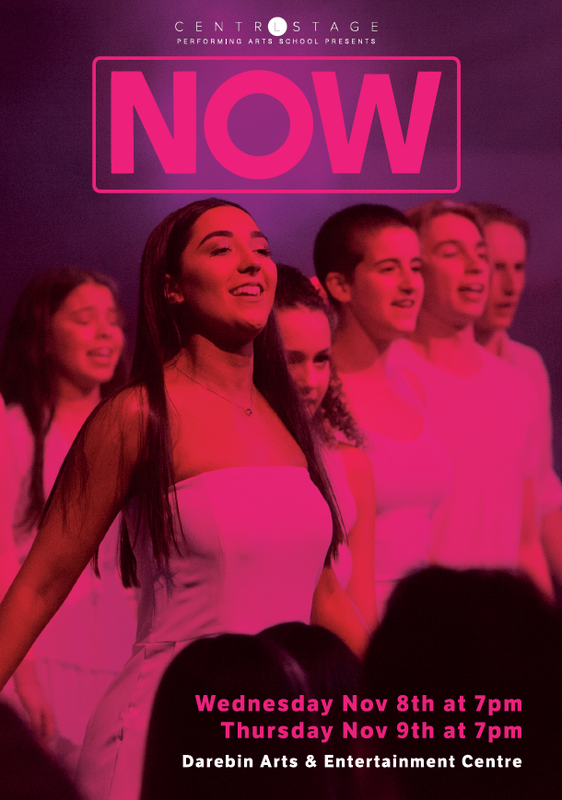 Complete Run Through of NOW Concert at Centrestage studios C & D. ALL DANCE AND MUSICAL THEATRE STUDENTS No costumes. All students are asked to attend the run from 10am - 4pm and watch the whole school perform their items. Sausage Sizzle lunch being served by Canteen Staff: Lesley and Jason.